Pro Mark TX5BW-AG Classic 5B Active Gr. 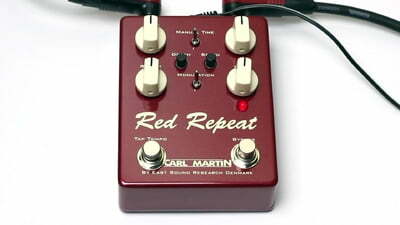 I use the Red Repeat in the home studio and bought it mainly because of the combination of analog + Tap Tempo. This is available in this price range, almost nowhere else. Because I want more dark delay sounds, the Tone control gave me the last push to order the thing. 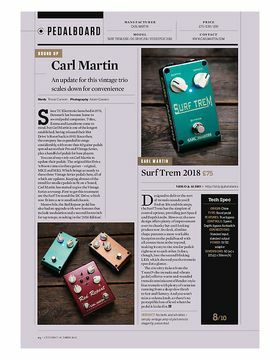 Sound: Nice analog warm, with all the peculiarities that make the analog delay so interesting: self-oscillation, eye-catching sound with lots of feedback and long delay times, etc. Great! Only the built-in modulation is more of a lecherous chorus than a real simulation of the classic tape wobble. But used sparingly it sounds good and gives the sound a great depth. The tone knob is great, too, but for my taste could grab even harder. Noise is not an issue. Features: I miss a switch for 1/8 and 1/8 triplets, but for the price you just can not have everything. However, I hardly use the Tap-Tempo now. Operation: The buttons are too stiff (another reason why I use the Tap Tempo little), the minipotis for the modulation too small - otherwise topp. Processing: Two pots were initially a bit loose, one was also on a part of the Regelweges very difficult. I then unscrewed all of them, lifted them a bit and tightened them properly, and now they are running smoothly. This also in response to the review of Maik2910. Should not happen in this price range, of course. 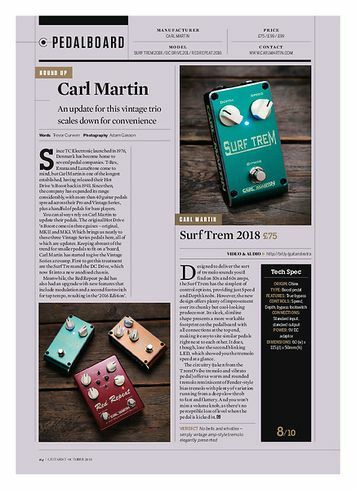 I was looking for an analog delay that can be controlled via tap. So far, I've used the Time Machine from Vox. The operation and the features are ideal for me, but the sound disturbs me. This I feel as too clear and too clean (which is, of course, no criticism as such, but pure taste). 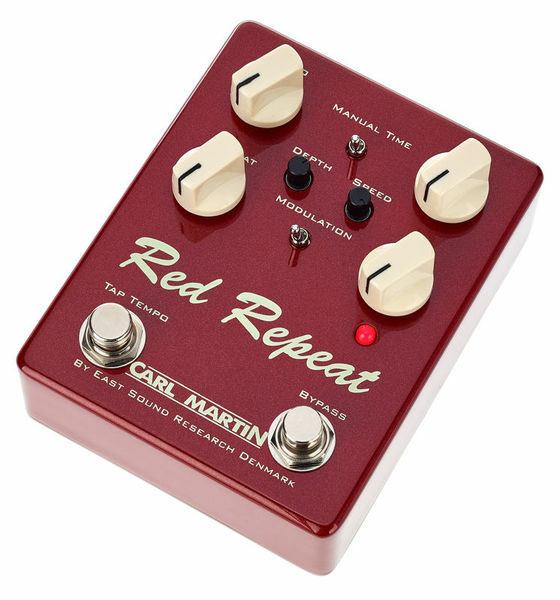 For the sound I want to get out of my pedalboard, I need something else, so I ordered the Red Repeat 2016 from Carl Martin.  To the purchase convinced me the tap function, the modulation effect and the tone control. The processing initially makes a good impression, except for a tiny Macke at the rear bottom. This does not bother me, however, but there would be enough. The Potis I find very difficult compared to my other pedals, especially one, which is really difficult to move from 3 o'clock. The Taptaster personally I find very unpleasant, barefoot play is so really not nice. I do not know if it is because that is worked analogously, but I found so far all other pedals and Taptaster significantly more pleasant "to kick". I also miss a slider with which I can choose the note values ? ?of the delay. The sound gets the then for me a bit far out again. Tonally, the Red Repeat is exactly what I was looking for. It does not sound as "high-resolution" as my Time Machine, overall dirtier. I use it exclusively in front of the amp, or the Zerre, in the Cleankanal it sounds excellent and after two played sets in the Proberaum, I notice that I'm very satisfied with my sound. Distorted, I get exactly the desired effect. This special sound from Delay in Zerre. Either you like it or not. Works perfectly with this delay. To the service I have to get used to something, if that happens, I keep it.  ID: 411874 © 1996–2019 Thomann GmbH Thomann loves you, because you rock!